Your alarm is going off and the only thing that’s keeping you from throwing it across the room is the fact that your alarm is your smartphone. Your bed is so comfortable and the covers are so warm and cozy … but something inside of you insists that you have to “adult” today. So, with a grimace and a few groans, you crawl out of bed and start the day. Does any of this sound familiar? What if we were to tell you there was a better way? Here are five ways to start your day on a better foot! Most Americans are sleep deprived, with few of us getting the recommended 8 hours each night. And that makes mornings … difficult. 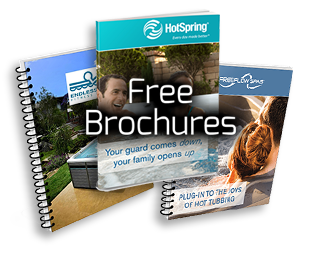 But dd you know that if you start your night out in your hot tub you can help increase your quality of sleep? It’s true! Relaxing in your hot tub for 20 minutes about 90 minutes before bedtime will not only help you drift off to sleep faster but also improve how deep you sleep. So, start out your day the night before by getting a fantastic night of sleep. Yes, coffee is amazing. We’ll never dispute that. But try a glass of water, first. Water is the one element that our bodies just cannot function properly without. Throughout the night your body endured many hours without water. Reward it with a little re-hydration. Plus, drinking water in the morning will help boost your metabolism. Now, grab that coffee – and your swimsuit. 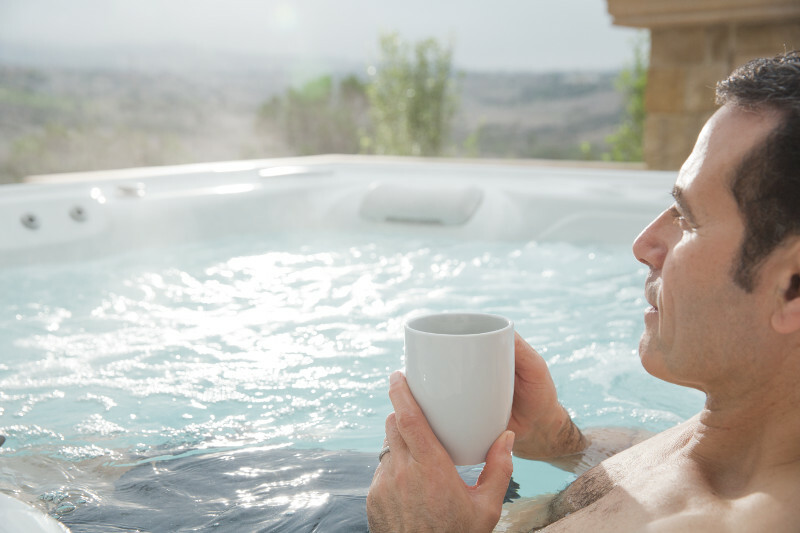 Relaxing in your hot tub can be the perfect thing to do before heading into work. It won’t take very long for you to implement this step into your morning routine. Just 10-15 minutes at 104 degrees is the perfect way to help your body wake up! Take this time to relax and mentally prepare yourself for the day ahead. After a relaxing soak in the hot tub, your body is ready for a good stretch. Stretching every morning can help improve your posture and increase your energy throughout the day. Take time to jot down your thoughts first thing in the morning. Journaling can help you focus on the details of the day and feel better prepared. While you’re collecting your thoughts, take time to focus on the good things in your life … what you’re grateful for and what makes you smile. By remembering the good, you set the right tone in your disposition for the rest of the day. It may sound like a lot but really, you can easily incorporate these steps into your morning routine without adding too much time at all. Give it a try, and greet the day with a new disposition!